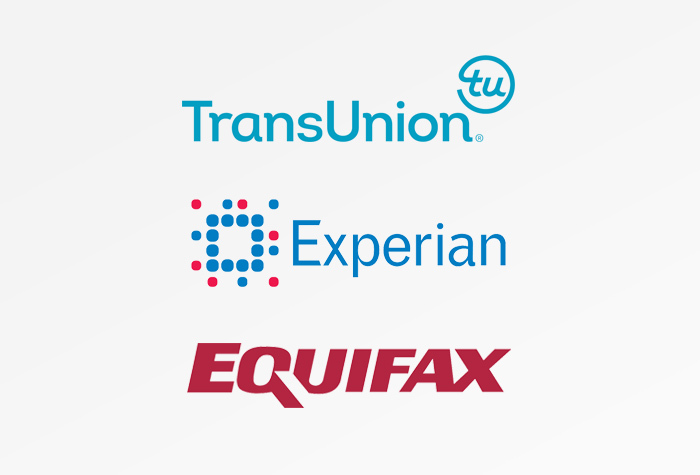 Equifax, Experian, & TransUnion - Why 3 Different Credit Bureaus? Equifax, Experian, and TransUnion – Why Are There 3 Different Credit Bureaus? If you’ve spent any time looking at your credit history, you’ve probably realized that there are three different credit bureaus (also referred to as credit reporting agencies): Equifax, Experian, and TransUnion. You might also know that the information contained in your credit reports from each bureau has a strong influence on what type of credit you have access to. From getting approved for a credit card to getting the lowest interest rates on a loan, the credit bureaus are basically the gatekeepers to better credit offers. But why are there three different credit bureaus and why exactly do they matter? What is the difference between them? Read on to unravel the mystery surrounding these important institutions. It might surprise you to learn that none of the credit bureaus are federal agencies; in fact, they have no government affiliation whatsoever. They’re actually private companies that collect information from creditors on your financial history and behavior; contributors include banks, credit card companies, lenders, healthcare providers, cell phone companies, and utility companies. Each credit bureau lists and analyzes the information on your credit report, which can then be sold to creditors when you go to apply for a loan or a credit card, as long as they have your permission. Some landlords or potential employers may also request this information to help evaluate your creditworthiness. For lenders and credit card companies, the information is used first to determine whether or not you’re approved for the loan or card. They can tell if you miss payments frequently, or if you have ever defaulted on a loan. All of these send warning signals that you might not be willing or able to repay and credit you take out with them. Landlords can use the information on your credit report to gauge whether or not you’re likely to pay your rent on time each month. If you don’t pay your other bills on time, why should they think you’d pay your rent on time? Employers also sometimes use your credit report to decide if you can be trusted handling money, or even just how responsible you are in financial areas of your life. No matter who wants to access your information from a credit bureau, they do need your permission to do so. Don’t worry too much about privacy concerns because you’ll need to provide your signature in order for anyone to access your reports. How did credit bureaus get started? Lending used to be a community-based endeavor. You would go to your local bank for a loan and they’d be able to ask around at local stores about what you owe or how quickly you pay your debts. But as the population grew, people started to move more frequently and larger financial institutions began to take over. This made it increasingly difficult for banks to track the financial history of loan applicants. Eventually, different types of retailers and financial groups began putting together a list of customers who had either good or bad credit. If you didn’t pay your bills, you were essentially blacklisted. These lists were sold to other creditors to help screen applicants. Over time, it resulted in three different for-profit companies: Equifax, Experian, and TransUnion — what we know today as the three major credit bureaus. While these are the most commonly used credit agencies, there are actually many other consumer reporting companies in existence. Most, however, don’t focus on the broader picture of personal credit, but instead, concentrate on specific types of financial information. For example, they might track your checking and banking history, employment information, tenant and rental history, and your utility payment background. How do the credit bureaus differ? Each credit bureau is a separate company operated in different ways, including the level of detail they provide on certain types of information. Equifax and Experian, for example, only note your employer’s name as part of your employment history. TransUnion, on the other hand, lists out more specific information, such as your title and the dates you were employed there. The information reported also varies from bureau to bureau. That’s because no creditor is required to send your financial information to any of the credit bureaus; it’s a completely voluntary process. Think back to the origins of the credit bureaus — they were created to help lenders and creditors decide which potential customers were creditworthy. So while it is voluntary, it’s in everyone’s best interest to report at least some sort of information on individuals’ financial behavior. All the same, creditors and other companies don’t necessarily take the time to report to all three bureaus. You’ll notice these differences when you compare your three credit reports to one another. Missing information on one or more credit reports isn’t a cause for concern, but inaccurate information is. That’s what you want to keep an eye out for when you review your credit report each year. Save your disputes for important information that affects the accuracy of your credit report. Why are credit scores from each bureau different? Since the information listed on each credit report varies slightly, you’ll also have a different credit score from each credit bureau. Not only is the data different, but the scoring methods also differ depending on which bureau your score is requested from. When a lender asks each bureau to send them your credit score, they have several different options. Experian uses the FICO 8 Score if you decide to purchase your credit score from them for your personal use. However, lenders and creditors may also request different versions of the FICO or a VantageScore. Each one uses the same financial information, but various algorithms give different weight to relevant data points. TransUnion offers both FICO and VantageScore for creditors and lenders, but also provides companies specific products that focus on various standards depending on what type of information the company is looking for. Finally, Equifax offers both FICO and VantageScore to lenders pulling scores on potential customers, but uses the Equifax Credit Score Model when you purchase your score from their website. While the credit score range is the same as FICO’s (300-850), it’s not the same thing. Suffice it to say; it can be difficult to truly “know” your credit score because at the end of the day it’s a pretty subjective number. How do lenders interpret all of these different numbers? Typically what happens is that they’ll pull all three credit reports and scores. From there, they’ll use your middle score to determine your credit offer. If you’re applying for a loan with someone else, such as a mortgage with your spouse, then the lender uses the lower of the two middle scores. So if your middle score is a 780 but your spouse’s is a 680, that’s the number they’ll go with. When you’re ready to take a look at your credit history, you simply need to visit AnnualCreditReport.com. It’s the only website authorized by the Fair Credit Reporting Act (FCRA) where you can access your free credit reports every 12 months. When you get to the website, simply click on the “Request your free credit reports” button. You’ll have to fill in your personal information plus your social security number. Then, you’ll be asked a series of security questions to confirm your identity. It might be helpful to have access to your different bank accounts at this time because the questions can be fairly specific about deposits, loan amounts, account opening dates, and more. When going through this process, you can select which credit reports you want to retrieve. You don’t have to get all three at once. If it’s your first time checking your credit, you might want to look through each individual report from Equifax, Experian, and TransUnion to compare entries and check for accuracy. But if you plan on applying for a loan sometime in the next year, you might want to just check one report now to see if you have any red flags on your credit report. If you find accounts that don’t belong to you, it could be a sign that you have been a victim of identity theft. Then, after working on rebuilding your credit for several months, you can access a report from another bureau to see if any items have been changed. If you would like to have monthly access to your credit reports and scores to see what has changed, consider signing up for a credit monitoring service. Just remember that none of your free credit reports include your credit score. You’ll have to purchase that information separately or you can get it free from one of the credit cards that give free FICO scores. If you’re on a tight deadline for applying for a loan or credit card and think you might have negative items to dispute, it could be worth paying for your credit reports. When you pay, the credit bureaus have just 30 days to respond to a dispute, but they have 45 days to respond if you access your reports from AnnualCreditReport.com. It really just depends on you and your timeline. While it might seem confusing to have three separate credit unions, it can actually be a good thing. Experian, Equifax, and TransUnion each use a slightly different method of collecting, reporting, and analyzing your financial information. This ensures a holistic, balanced view of your credit information, especially when it comes time to apply for a loan or credit card. It’s worth the bit of extra time and effort to actively understand each of your three credit reports and how they differ, so you know exactly what lenders see.